Stephen Hodder was educated at the School of Architecture, University of Manchester, where he gained a Distinction in the Bachelor of Architecture degree. Following University he joined Building Design Partnership in 1981 and became a member of the Royal Institute of British Architects in 1982. He has been in practice since 1983 and in 1992 formed Hodder Associates which won the Royal Fine Art Commission / Sunday Times Building of the Year Award for Colne Swimming Pool in Lancashire later that year. Shortly afterwards he won a limited competition to extend Arne Jacobsen’s Grade I Listed St Catherine’s College in Oxford and established a client relationship which has now extended for some 20 years. In 1996 Hodder Associates received the most important award in British Architecture for a single building, the inaugural Stirling Prize for Architecture for the Centenary Building, University of Salford. The Practice has now won over forty major awards. The practice has realised significant projects in the leisure, cultural, residential, and commercial sectors, together with the further and higher education sector. 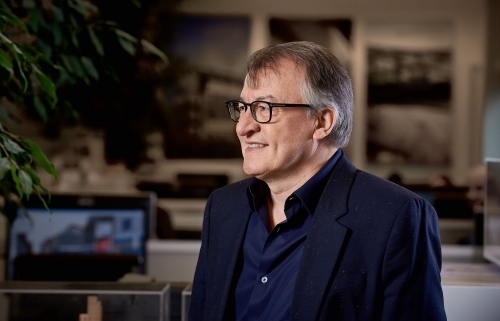 Professionally, Stephen has been President of the Manchester Society of Architects, RIBA North West Region Chairman, and a member of the RIBA Awards committee. He is a past member of the Education Committee and Conservation Register Steering Group. He was RIBA President 2013-15, having previously been Vice President Membership, Nations and Regions. Stephen has written and lectured widely, has been a visiting examiner at a number of schools of architecture and visiting Professor at the Birmingham School of Architecture and the Belfast School of Architecture. He is currently external examiner at ‘Ion Mincu’ University of Architecture and Urbanism, Bucharest, University of Portsmouth School of Architecture and visiting Professor at the University of Salford, School of the Built Environment. He regularly acts as an assessor for architectural competitions and awards and sits on the Design Review Panel for Places Matter! and formerly for CABE. He was awarded an MBE for services to architecture in the Queens Birthday Honours List, 1998. He received an honorary doctorate in 2006 from the Manchester Metropolitan University for his regional, national and international contribution to architecture and won the Roses Design Award of ‘Architect of the Year’ in the same year. Stephen received an honorary fellowship from the University of Central Lancashire in 2013 and elected Deputy Chair of the Construction Industry Council (CIC) in 2018.